THREE College Football Head Coaches Facing CANNOT LOSE Games In Week EIGHT in the Thursday and Fright Night Games – Enjoy the GREAT Steely Dan performing Deacon Blues! 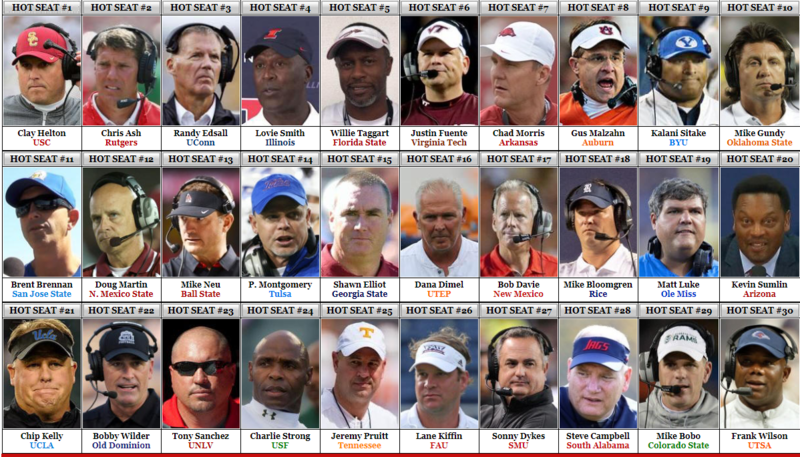 COACHES HOT SEAT > Uncategorized > THREE College Football Head Coaches Facing CANNOT LOSE Games In Week EIGHT in the Thursday and Fright Night Games – Enjoy the GREAT Steely Dan performing Deacon Blues! Hell, Bozo the Clown could coach West Virginia to at least THREE more wins with the above remaining schedule BUT is just getting to be bowl-eligible good enough for the folks around Morgantown? Who the Hell knows but for Damn sure…. 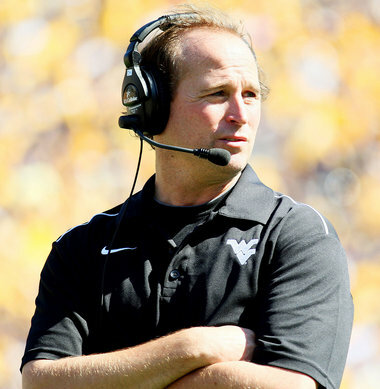 TCU is a CANNOT LOSE Game for Crazy Boy Holgorsen and West Virginia! ….there is a decent chance the Ducks miss making it to a bowl game in 2015 and if the Mighty Ducks don’t go bowling in 2015 can Mark Helfrich survive to coach at Oregon in 2016? 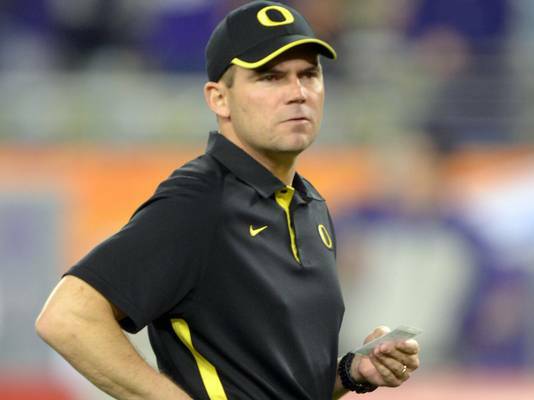 YES…Arizona State is a CANNOT LOSE game for Mark Helfrich and the Oregon Ducks! YES….Utah State is a CANNOT LOSE Game for Craig Bohl and Wyoming!